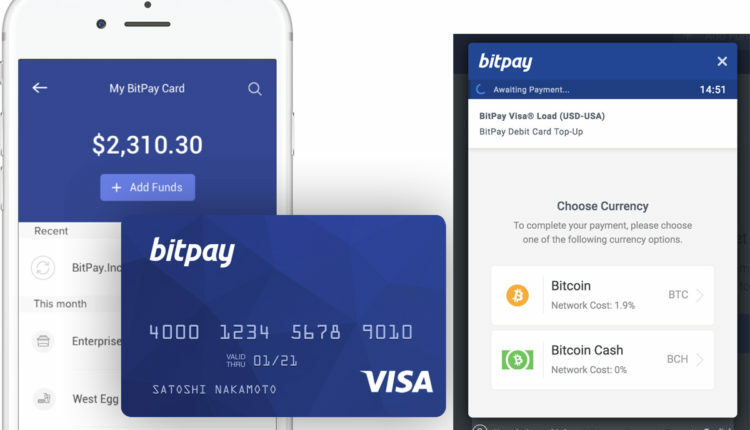 Bitcoin.com reported recently that Bitpay had incorporated the use of Bitcoin Cash (BCH) into its Visa debit cards. Since the launched of this feature, Bitcoin Cash invoice support has been implemented across several vendors. Right now, Bitcoin Cash can now be utilized to make payment to different merchants worldwide. The Bitcoin Cash ecosystem has recently witnessed a surge in the number of merchant adoption. Bitpay, a payment process service, has incorporated the use of BCH for its merchants and vendors making use of its platform. Since the global crypto bear market of 2017, the merchant list of Bitpay has increased significantly. This merchant list covers Europe, Asia, the United States, and South America. The users of Bitcoin Cash are extremely happy that Bitpay has now lent its support to allow their merchant process payment in BCH. Also, some users claim the network fees are now considered low. Several Bitpay vendors such as JM Bullion, Vodi, Zeek, Newegg, Gyft, Namecheap, eGifter, Vultr, Wefunder, and Heifer International, among others, now accept BCH. Several other charities and nonprofits organizations such as Wikipedia, Save the Children, the Electronic Frontier Foundation, and the Internet Archive also made a list. Apart from supporting non-profits, vendors, and merchants to explore the BCH ecosystem fully, BCH payment is also compatible with BIP70, a Payment Protocol used by Bitpay to generate invoices. Also, more wallets are currently being supported to explore this feature fully, even as it was reported yesterday that Electron Cash client has also adopted the feature to improve their operations. The wallets that have integrated with the BIP70 protocol include Electrum, Bitcoin.com Wallet, BRD Wallet, Edge, Bitcoin core, Mycelium, Bitpay, and Copay, among other wallets. BCH users who have any of these wallets can now make use of Bitpay merchants. Another Bitpay announcement that has gladdened the minds of BCH users is the fact that the company recently signed a memorandum of understanding with Bithumb, a South Korean cryptocurrency exchange. These two companies are planning to launch an international payment gateway that will accept both BCH and BTC to reducing the cost of cross-border payment for businesses operating in South Korea. Sonny Singh, an executive at Bitpay, was recently quoted to have said that Businesses in South Korea send or receive payments more than USD 5 million per invoice. “One to two percent savings per invoice can dramatically lead to a huge reduction in the overhead cost of businesses,” Singh asserted. Ultimately, Bitpay’s announcement has created a milestone in the crypto ecosystem, since BCH users can now use BCH to pay for goods or services via Bitpay’s vendor or merchant, couple with the South Korean international payment gateway. Apart from Bitpay, Coinbase, a San Francisco-based crypto exchange has also lent its support for BCH payment on Plugin, a new Coinbase merchant. Mathematician argues Cryptocurrency Market cap is not actual amount of money in crypto.